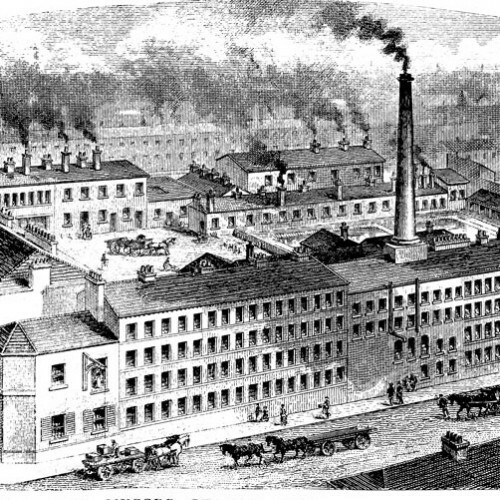 George Wostenholm & Son Ltd. 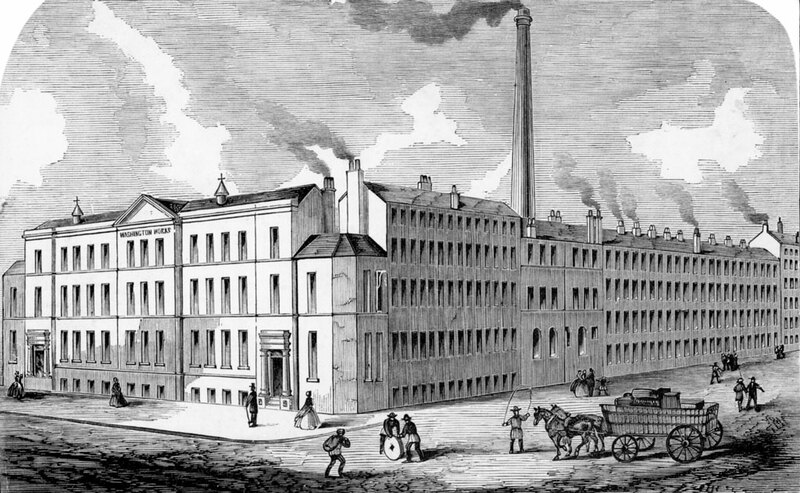 The third George in this family business acquired the cutlers mark ‘I*XL’ in 1826; the mark which made the company famous. 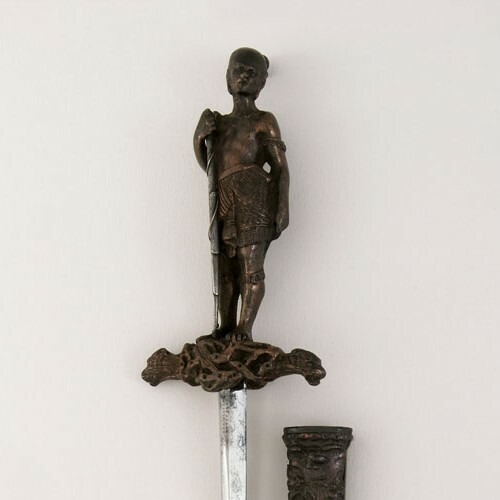 Wostenholm specialised in knives and razors, dominating the American market with their products. 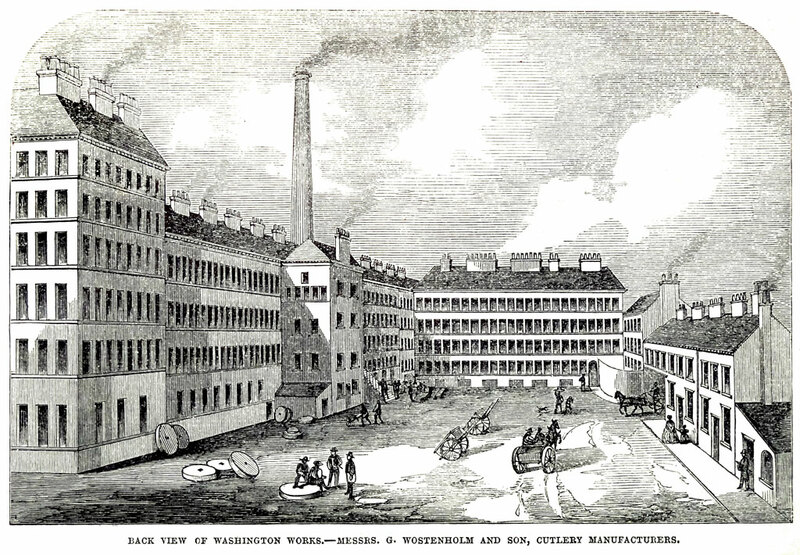 Their original workshop, Rockingham Works, became too small to cope with demand and by 1848 they moved to Washington Works, named in honour of their American trade. George Wostenholm was an excellent salesman, and made around 30 trans-Atlantic trips to America throughout his life. This was when sailing ships were still in use and steamships were still a very new innovation; the crossing would take a number of weeks and was still very dangerous. 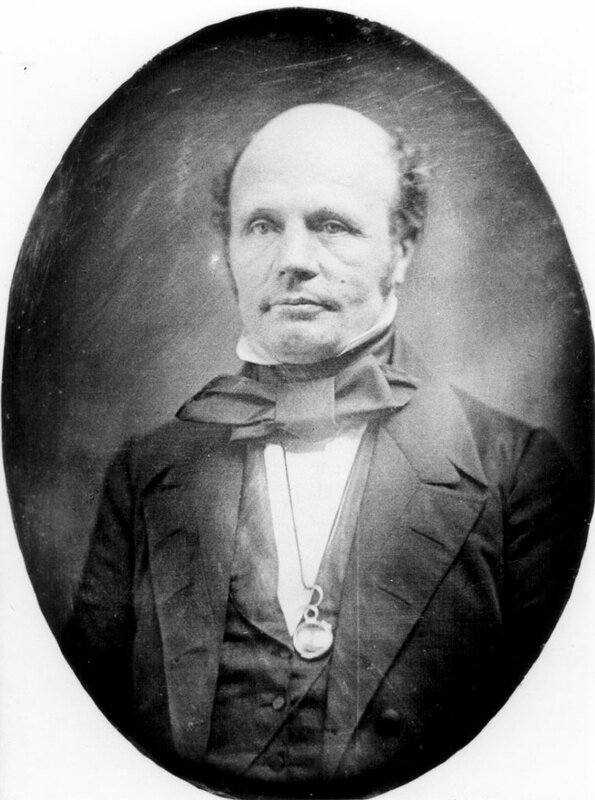 It was Wostenholm’s willingness to travel and his skills as a trader that meant the I*XL brand was one of the most famous in America by the mid-nineteenth century. It was his travel to America that meant he declined the role of Master Cutler three times saying that he would not be able to spare time to undertake the role, before he finally accepted in 1856. The photograph that was taken in the year he finally became Master Cutler was produced in New York, on one of his business trips. In the 1850s they increased production of their most famous product; the Bowie knife. 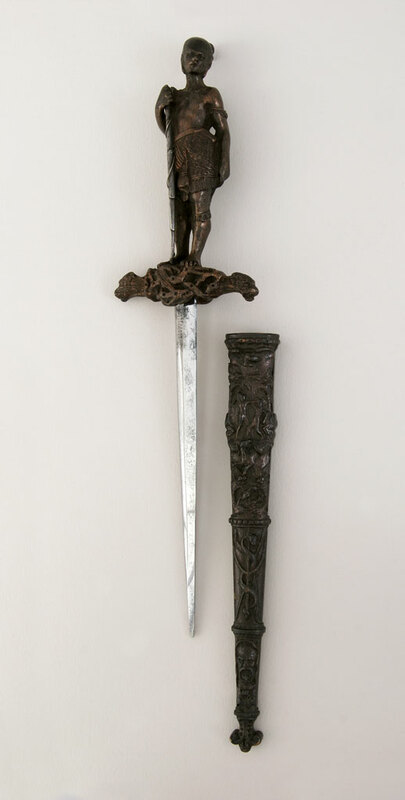 These knives were often etched with American eagles and patriotic slogans. These knives were not popular with all Americans. The Nashville Whig newspaper praised the introduction of stronger laws on Bowie knives saying ‘Its provisions will effectually stay the use and sale of one of the most bloody instruments of death known to the present age’. 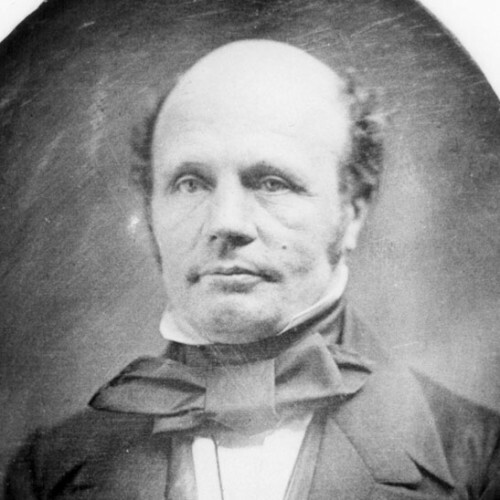 When George Wostenholm died in 1876 the American markets they had relied upon were contracting, and over the next twenty-five years mechanized American cutlery manufacturers increased their market share and protectionist trade tariffs made importing and selling cutlery very difficult. 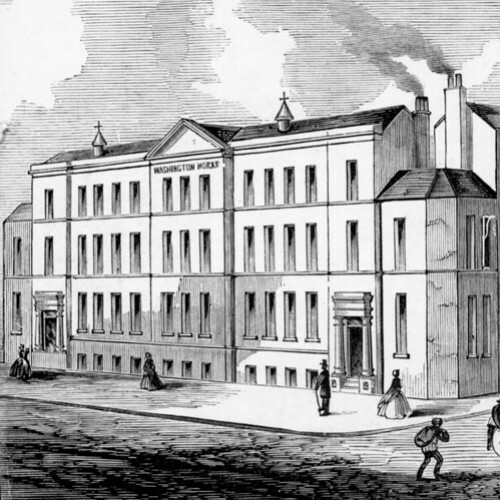 Expanding into British Imperial markets were not very successful for the company and could not replace the lost American trade. By 1914 the company employed about 400 people and nearly went bankrupt in the mid 1920’s, kept afloat only by a successful shareholder appeal. 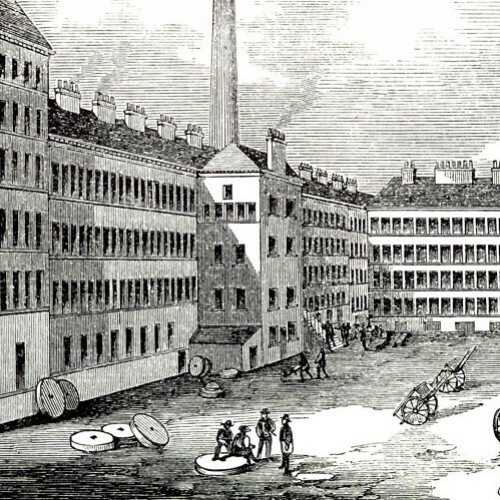 The partial destruction of the Washington Works during the Second World War meant that the company was very badly placed to compete in the post-war period. In 1971 the company was finally bought by their rivals Joseph Rodgers & Sons, and by 1978 the Washington Works were completely demolished. 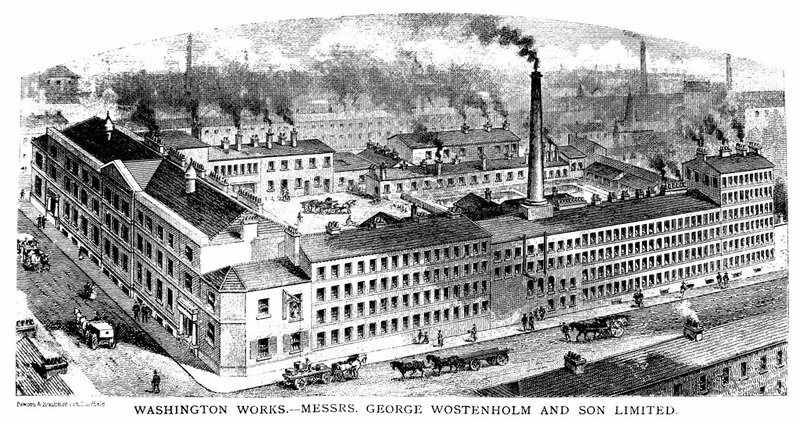 The name and marks of George Wostenholm were bought by Egginton Brothers, who still make Sheffield cutlery using the Wostenholm I*XL mark today. George Wostenholm is now owned by the Egginton Group and there is a brief history of George Wostenholm & Son on their company page. I loved learnig about all the metalwork and steelwork people have done. It was interesting learning about the milenium punch bowl and the knives.